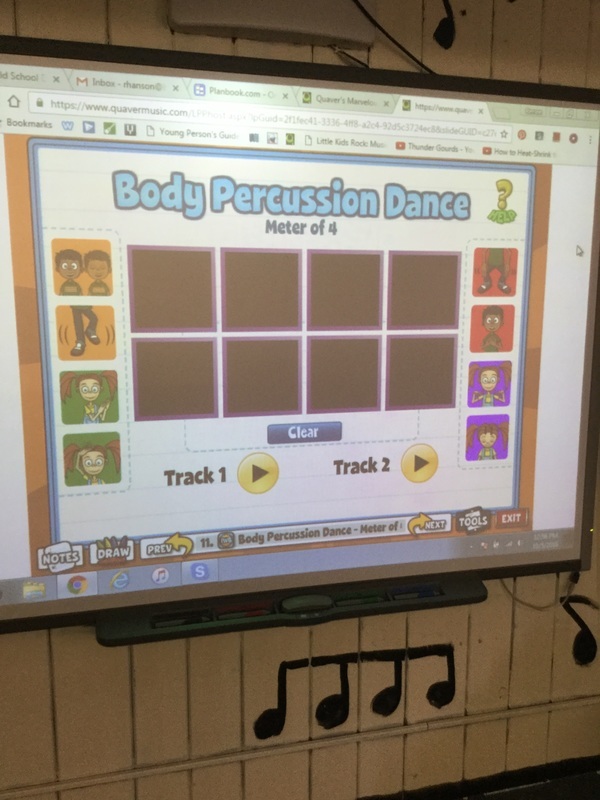 We are learning about meter in 2, 3, & 4 in 1st grade. 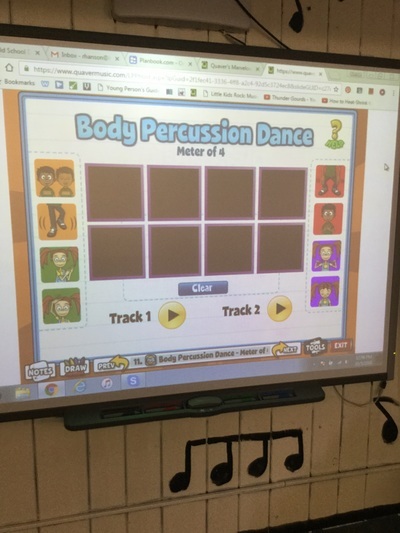 Today the students were able to use their iPads and go to our Quaver app to create their own Body Percussion Dances. The students drag a movement to the black squares and then are able to push the track 1 or track 2 play buttons to perform their movements with the their partners. 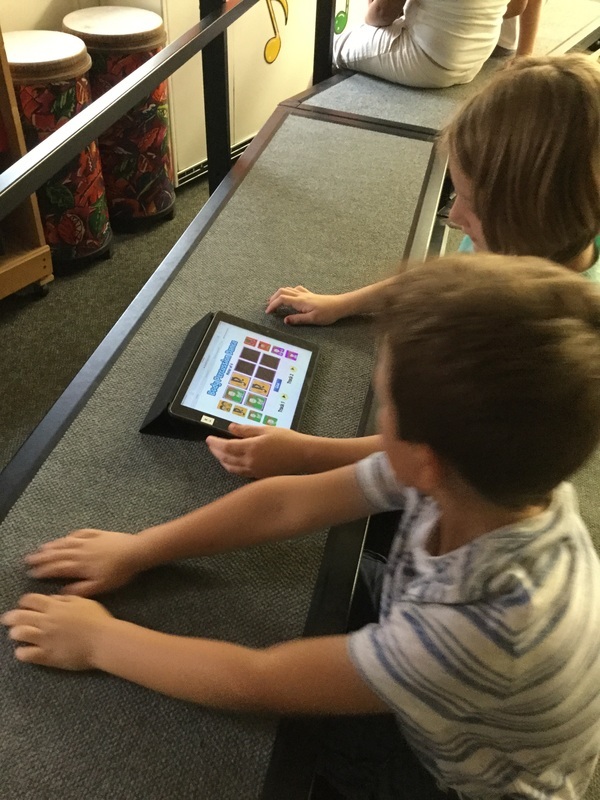 We also learned how to share our iPad screens through the apple tv to share with our classmates. 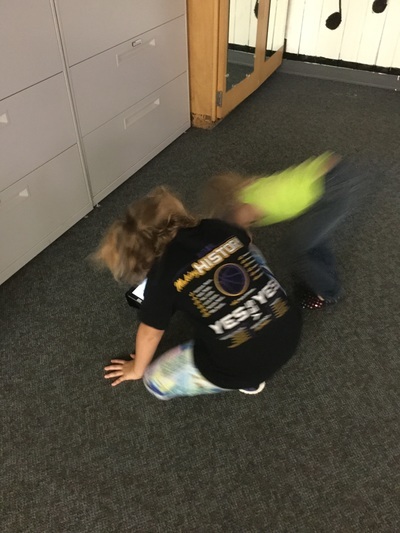 The students had a great time creating, moving and using our technology! 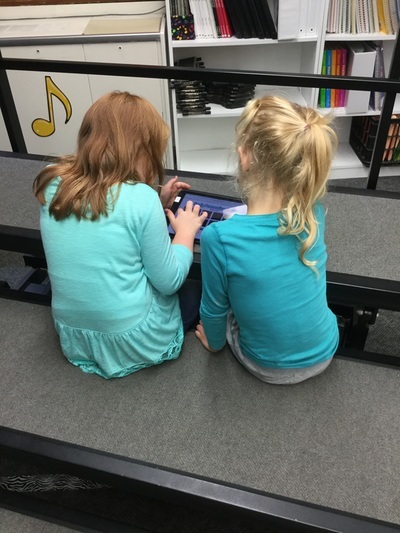 We are back at it in music class. 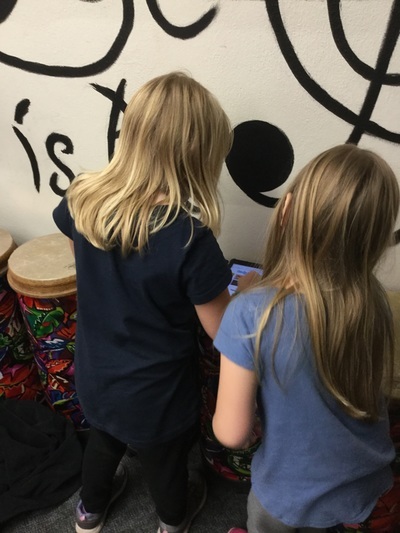 The kids are a little disappointed that Quaver won't be coming to our school this year, but we are really loving learning about beat and no beat with Quaver during class! Can't wait to share more about class later in the coming months! 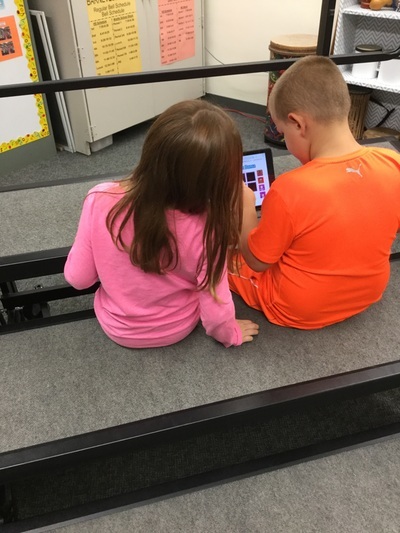 Welcome to our 1st grade music page. We hope you visit often. 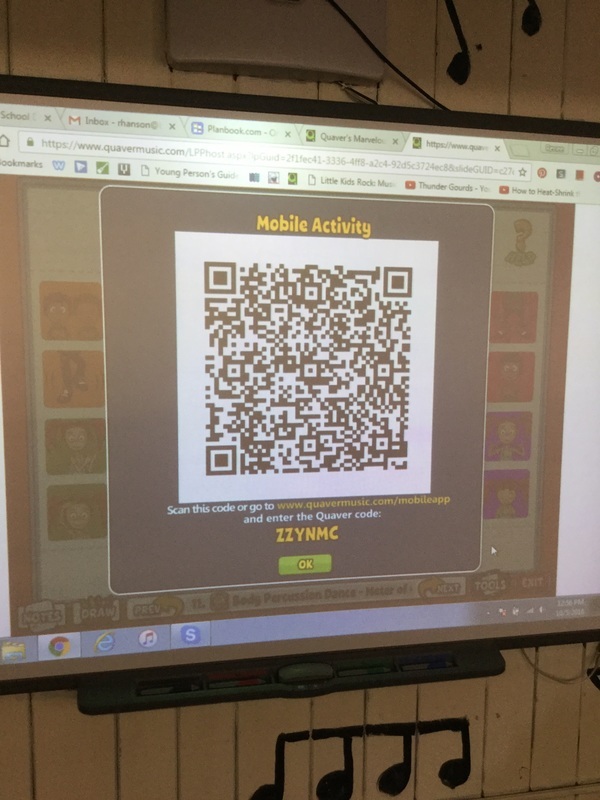 We started this week by taking photos and singing "Time for School". We had great fun adding movement to the song by walking, stomping, skipping, clapping, hopping and tiptoeing. I plan on posting (hopefully) weekly on activities we do in class.